I put on makeup and an adult shirt for this one! 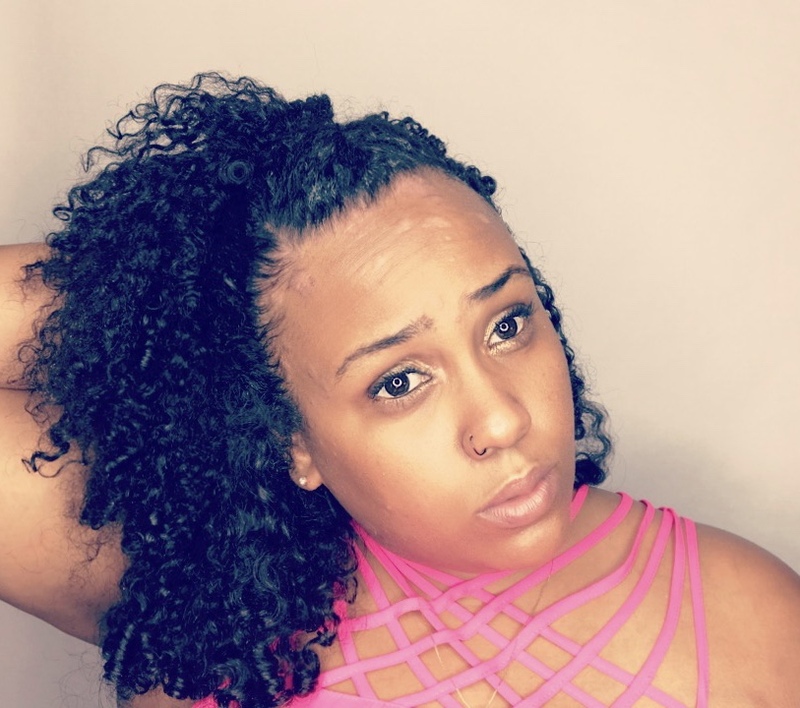 The wash & go has long been championed a spring and summer staple for naturalistas looking to break out of their twisting, rodding, braiding, and protective styling routines of the colder months. But what if I told you that you could rock a wash & go all year long? 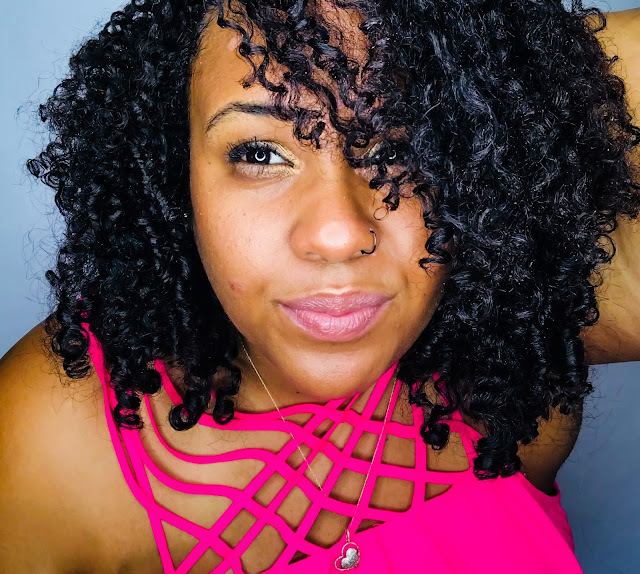 With a few simple tweaks, it's possible to achieve curl poppage in every season - without walking around with a perpetually soggy scalp. All it takes is a few simple styling tweaks, and you're golden! For the fall and winter friendly version of a wash & go, I'm using products from the Design Essentials Almond & Avocado collection. Y'all. I don't know how or why I slept on Design Essentials for so long...but these products are FYE! Like, I wasn't ready. Let's jump in to the 8 steps you'll need to rock a wash & go during fall, winter, or whenever the temperatures drop below 70 degrees (we have very loose expectations around seasons here in LA, lol). By the way, there's a video! Keep scrolling, and don't forget to subscribe! Co-Wash...Shampoo it's up to you! By the way - if you've got extreme buildup or can't remember the last time you shampooed, please shampoo first. The Co-Wash ain't going nowhere. Even though my hair looked and felt great after the Almond & Avocado Nourishing Co-Wash, my spirit wouldn't let me skip the conditioning step. 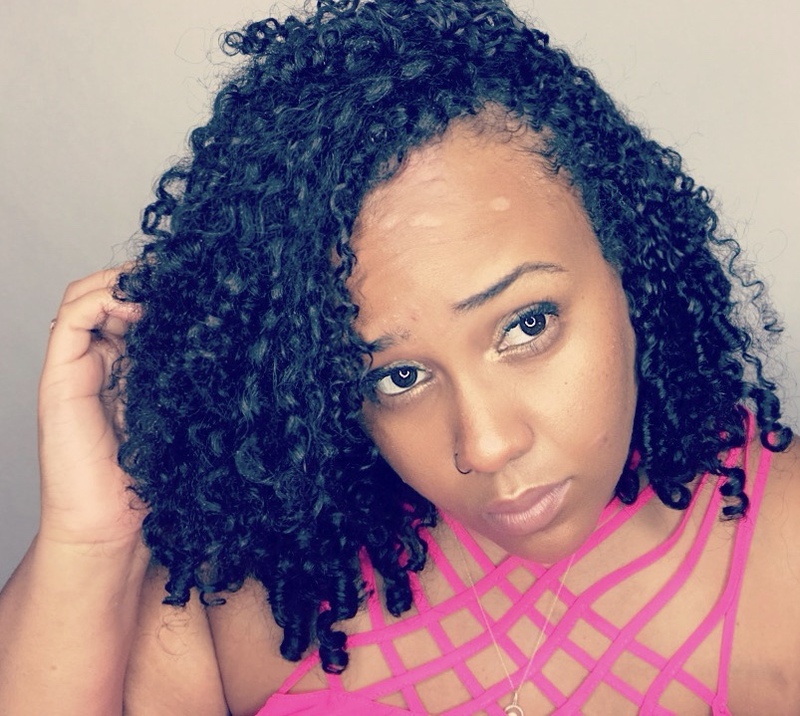 Great wash & go's are never dehydrated and crispy, so the Almond & Avocado Moisturizing & Detangling Conditioner added an extra layer of hydration and detangling to my curl prep. If you feel confident enough in your curls to skip this step, by all means do it. But I will say this - I've never known a naturalista to skip an opportunity to condition...whether it be for 3 minutes or 30. One of the biggest reason why no one looks to rock wash & go's during the colder months is well, wet hair. Especially for the ladies that don't care for or believe in diffusing (like me). Wet hair takes exponentially longer to dry in cold air, so without the proper measures in place, wash & go curls will literally never dry. 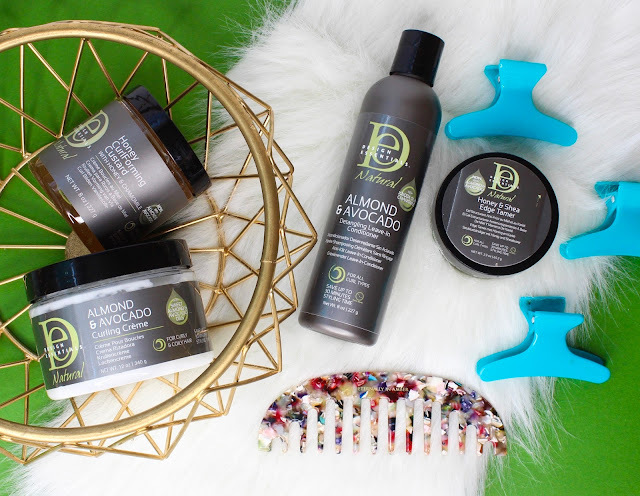 During the warmer months, you'll hear me yell from the mountaintops that the best results are achieved when leave-ins are applied to soaking wet hair. For maximum soakage, I usually do this in the shower. But for fall and winter? No ma'am! Here's a hack for my ladies on the lower end of the porosity spectrum - put warm water in that spray bottle, sis! 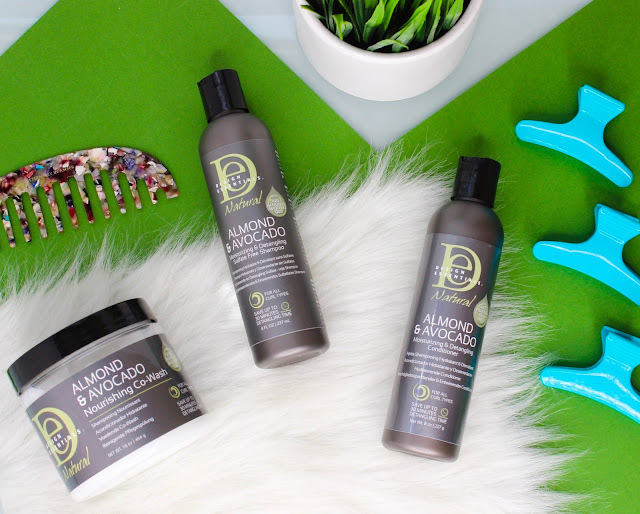 Applying Almond & Avocado Leave-In and Curling Creme (or any leave-ins, really) on barely wet hair is a recipe for clumpy flakes and buildup, thanks to products sitting on top of the strands and not penetrating properly. But after applying the Almond & Avocado Detangling Leave-In and Curling Creme, I sprayed my hair all over with a spray bottle of warm water. The warm water helps the leave-ins to penetrate adding moisture and style longevity, without keeping the hair perpetually soaked. Not to mention, products just seem to spread and move better with warm water. Once the hair is primed for styling, it's time to define those curls. While I'm a gel girl at heart (and the thicker, the better), colder temperatures can sometimes mean lightening things up a bit to accelerate drying time. Design Essentials Honey CurlForming Custard does just that. It has enough heft to help clump my curls, but doesn't leave them wet for an eternity. In fact, as I worked in sections, previously defined curls started to dry almost instantly. Use this opportunity to rake & shake, shingle, smooth, brush define, finger coil, pray - whatever you gotta do to define those curls! For a boost of added shine, a little heat protection, and to help speed up the drying process, finish with a few sprays of Almond & Avocado Curl Control & Shine Mist. I didn't think I needed a finishing spray, until I used it. This lightweight spritz helps ensure a faster drying time, helps minimize frizz, and leaves your hair smelling like green Jolly Ranchers. Plus, it gives excellent shine, without that "girl, you greasy" look and feel. Basically, I'm using it every single time I wash my hair. One of the best investments I made in the past year was a hooded dryer. Initially purchased for flexi rods and deep conditioning, this gem has transformed into a fall and winter must-have. I spent 30 minutes tops under my hooded dryer (similar to this one) before it was time to skedaddle to the gym. I kept raving over, and over, and over to Samuel in the car that my hair has NEVER been this dry so shortly after doing a wash & go. Seriously - I had slight dampness in my roots/crown area, but that was IT! I was able to work out without leaving embarrassing hair goop on benches or my gym towel. And thanks to my Design Essentials lineup, my hair didn't feel crispy or dried out, either. Don't have a dryer yet? Check out this one. I always like to finish my wash & go off with sleek edges for a more polished look. The Honey & Shea Edge Tamer delivers super sleek results, with tons of shine, great hold (I was shocked), and no flaking. 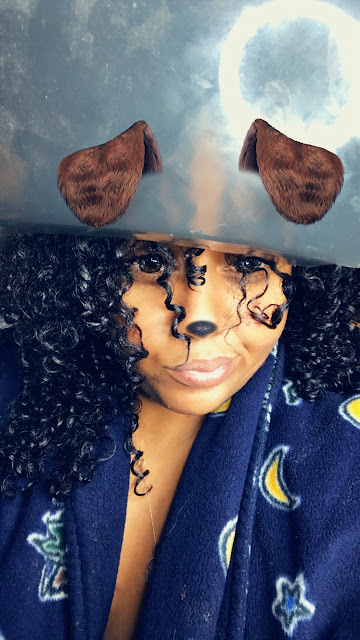 Because my curls were poppin' (albeit, shrunken because they're healthy AF), I took to Snapchat for excessive selfie-ing. I've made peace with the fact that you're going to judge me. Shrinkage is crazy, but curls are poppin'! Let me know in the comments how you're switching up your hair routine for fall and winter! This post is sponsored by Design Essentials. You can find here lots of cool articles on the thematic of spying, hacking and all the related ones that would be interesting for every active software user.